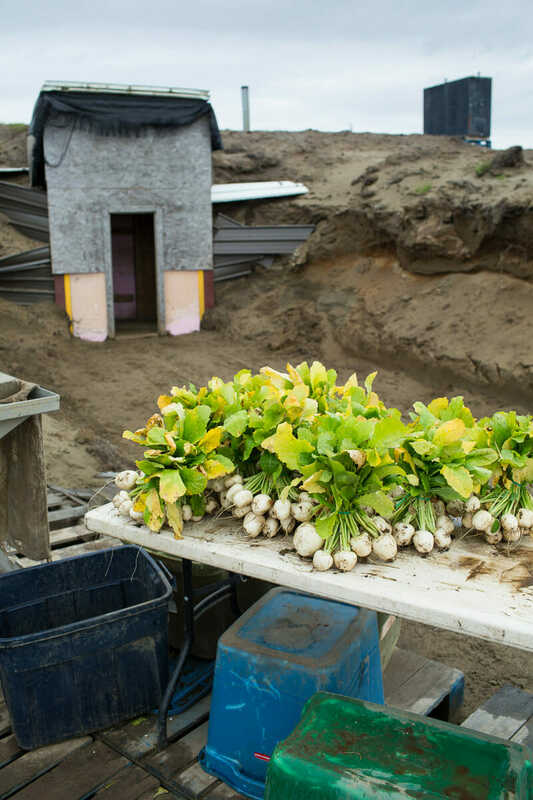 Meet Tim Meyers, who has been growing organic food on 17 acres of permafrost for his hometown of Bethel, Alaska for the past six years. 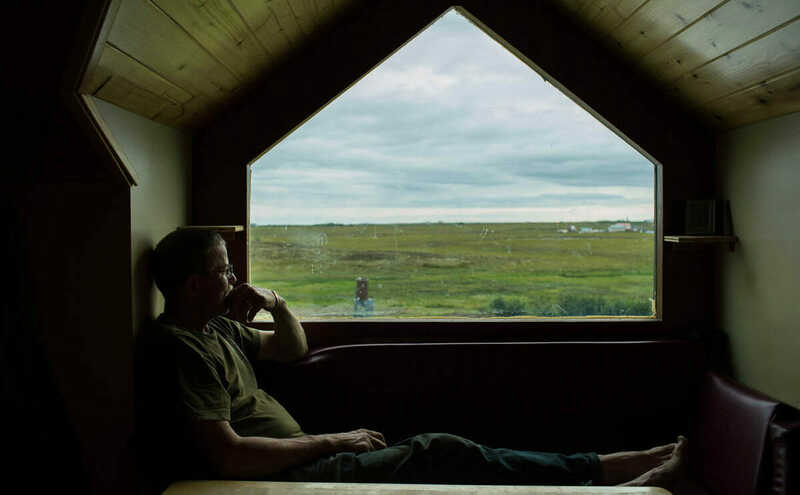 During a quick lunch break, Tim Meyers surveys the tundra from the perch of his second-story kitchen window. 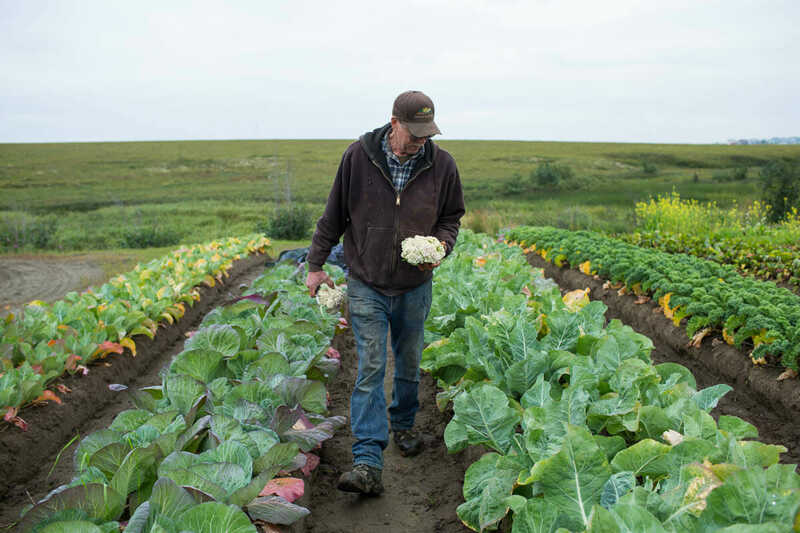 If Tim Meyers had his way, much of the farm-fresh food in Alaska would come from one place: the Yukon-Kuskokwim Delta. As one of the largest river deltas in the world, it’s home to wild salmon and game, migratory birds and very nutrient-rich soil. 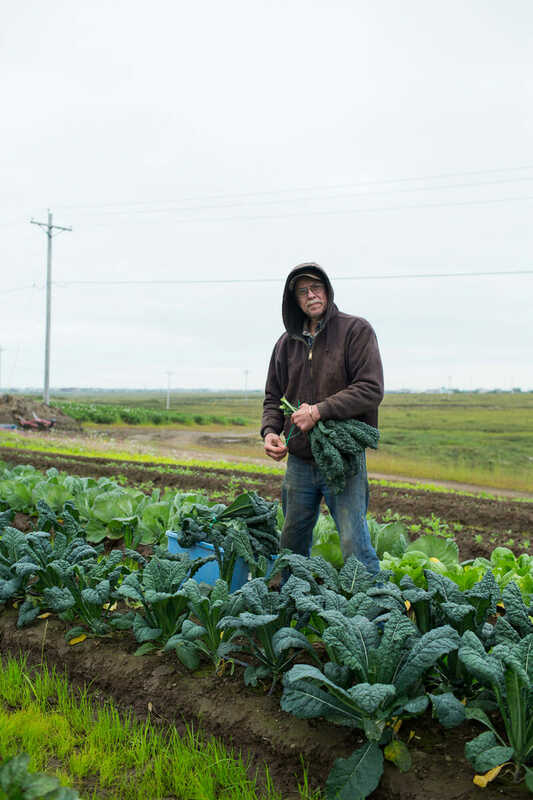 In a state where 95 percent of the food is imported, farming in the delta could contribute significantly to Alaska’s food security. 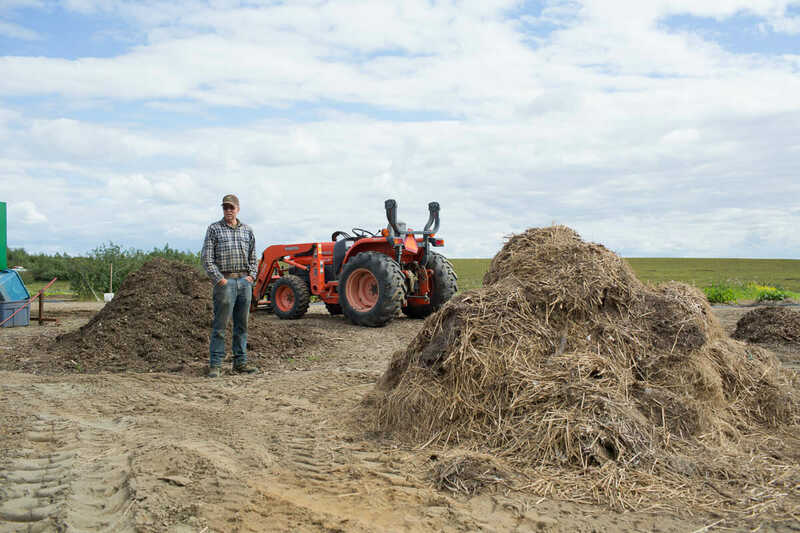 To get at the soil, Meyers first had to develop a method for thawing it, a two-year process of clearing and amending each field with manure, composted tundra and a “slurry” of salmon, some lake water and a small amount of dry molasses to “increase biological life”. Raised beds and high tunnels help mitigate the cold temperatures and short growing season, and a vast underground root cellar stores and extends the lifespan of the harvest. 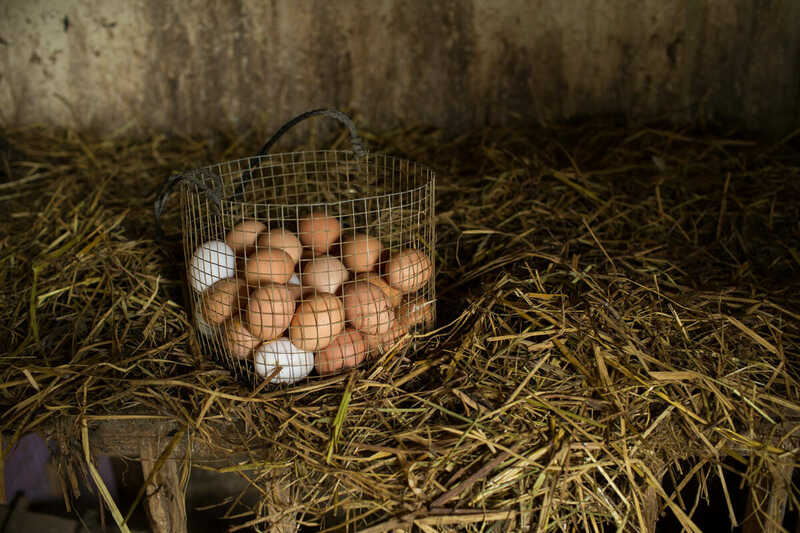 At the twice-weekly market on the farm, locals stream in to buy Bethel-grown greens, root vegetables, brassicas, gourds, strawberries, poultry and eggs, plus a small selection of imports that supplement the inventory. And why stop there? Along with feeding his region, Meyers has a second lofty ambition: a farm school, where he can share what he’s learned. All he needs now are a few dedicated students. Tim and Lisa Meyers catch a rare beam of warming sun inside one of their two main high tunnels (aka hoop houses). 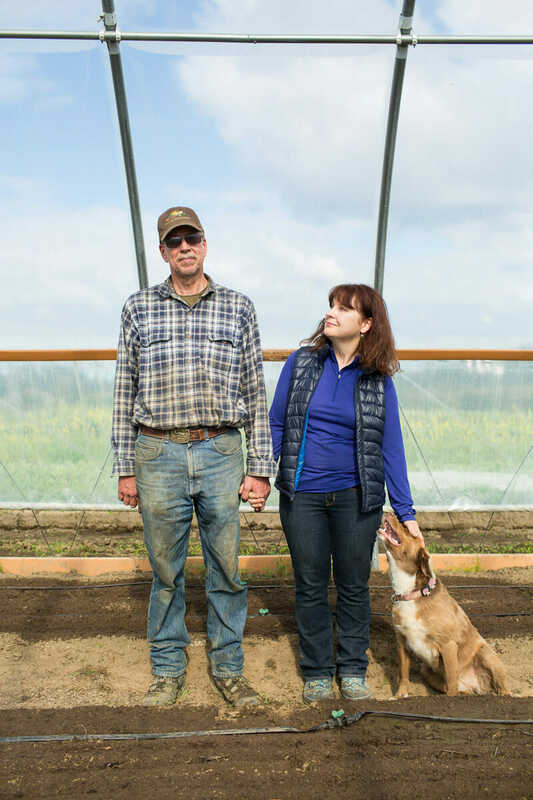 The movable greenhouses have enabled the Meyers to extend their growing season significantly on their 17-acre farm, up to a month on each end in a good year, with crops growing from April to October. Seen in the foreground:Tim on his farm. In the background: an endless sea of tundra, with a spot of the town of Bethel in the far right. 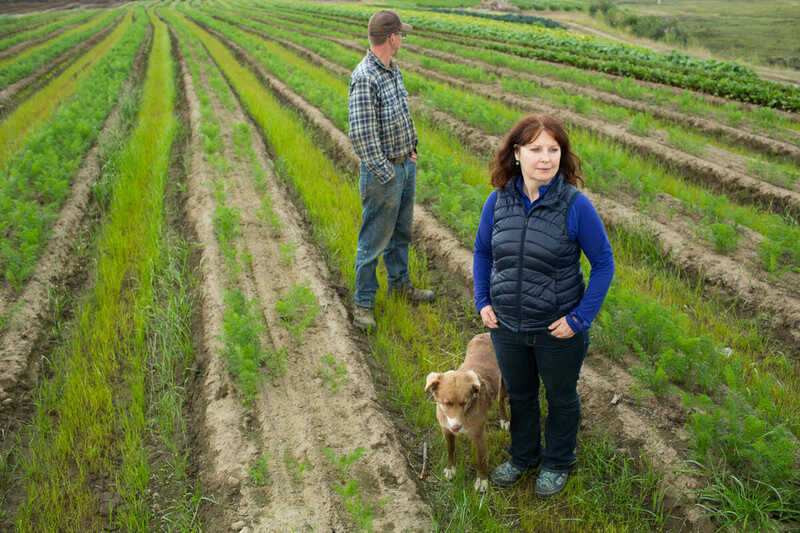 If Meyers had his way, the open space between his farm and the town would be blanketed with small 3-acre family-run organic farms. 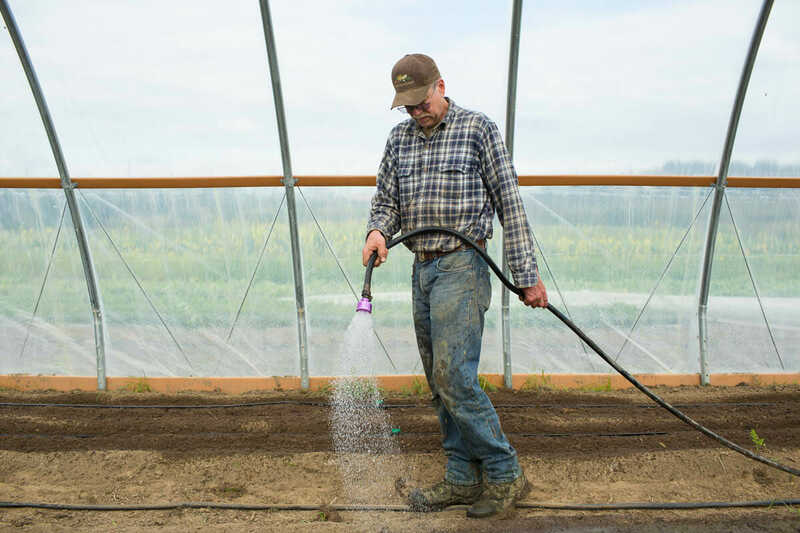 Meyers manages the high tunnels with a mix of drip irrigation and daily manual, meditative walks up and down the rows, hose in hand. 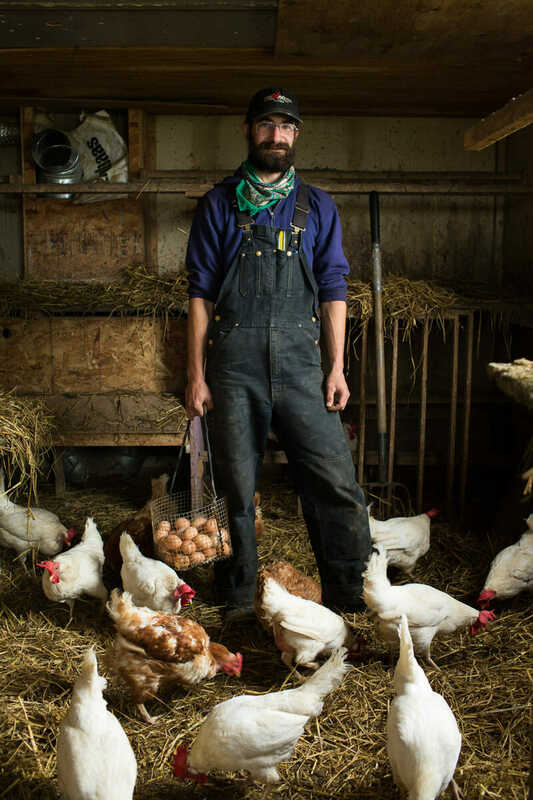 Farm intern Simon Goldstein stands in the underground chicken coop. A DJ and artist in Anchorage during the winter, Simon spent the summer in Bethel learning the ways of permafrost farming under Tim’s tutelage. Now a month into his internship, he’s hooked, and Tim’s determined to replicate the teaching process into a larger farm school. Needless to say, the eggs are delicious. Meyers packs up turnips for the afternoon market. Not visible (though very much there): approximately 10 million blood-sucking No-See-Um’s (better known as the sand fly). 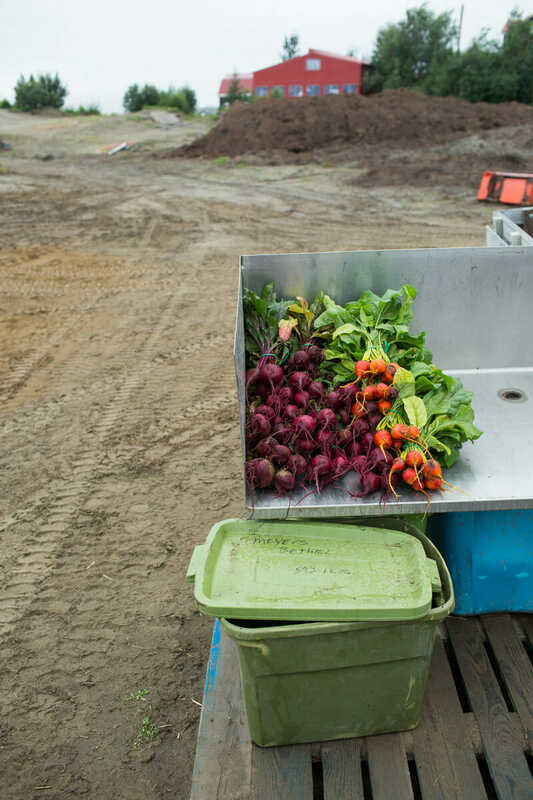 Turnips wait their turn at the washing station, with the entrance to the farm’s vast underground root cellar looming in the background. Meyers stores a mix of potatoes, cabbage, rutabagas and carrots in the cellar from October until early Spring. 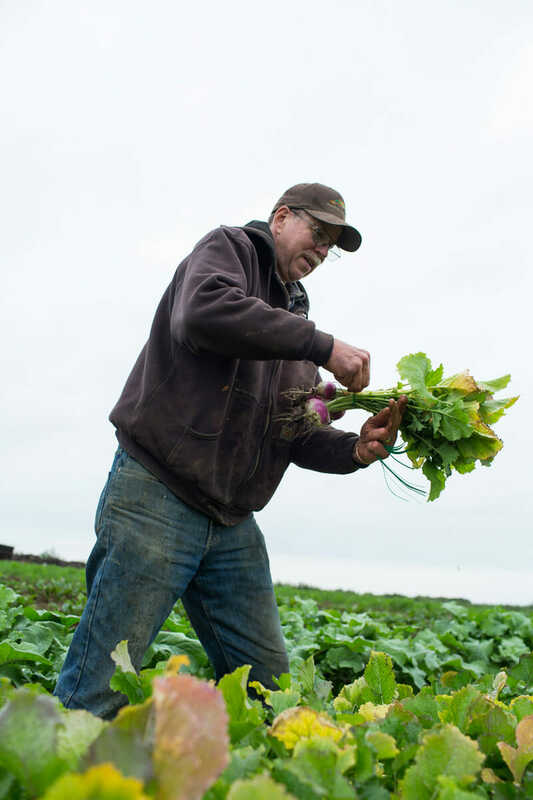 The cellar has a capacity to store up to 200,000 pounds of vegetables – to date the most he’s stored is 22,000, with a goal of averaging 150,000 pounds per year for his family and the Bethel community. Beautiful red and gold beets are ready for transport to the market stand. The market is open two afternoons each week, and Meyers sells out of his fresh produce most days. Lisa and Tim in front of their first underground structure on the farm: a sauna. 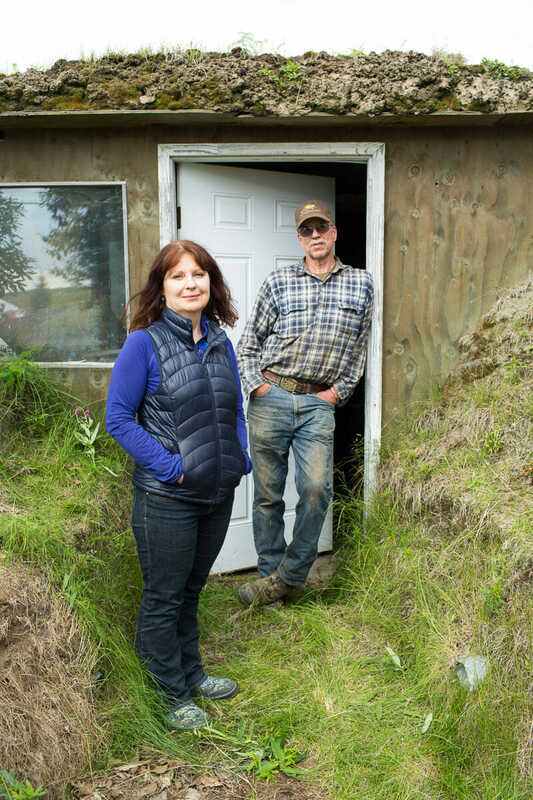 Dug deep into a hill on his property, complete with native grasses and groundcover growing on the roof, the sauna was one of Tim’s earlier forays into the underground construction that led to both the building of his house and root cellar.